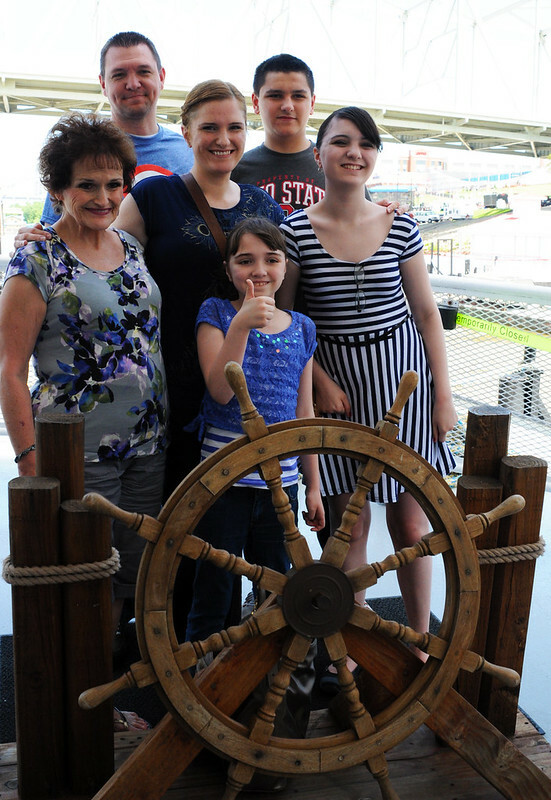 NEWPORT, Ky. – More than 400 U.S. Military “Gold Star” family members set sail for a riverboat ride on the Ohio River June 14 in Newport. A “Gold Star” family is one that has lost an immediate member in conflict or in support of certain military operations. The term originated during World War I and continues today. Surviving family members from six states, including Kentucky, enjoyed a riverboat ride provided by B&B Riverboats and a meal courtesy of Gold Star Chili. This event was organized by National Guard and Active Duty Survivor Outreach Services coordinators, the riverboat ride is the second largest such event in the country. Terri Bernstein, Captain of the B&B Riverboats, is in charge of all the operations of the vessel including hosting events and coordinating food. Her late husband, Staff Sgt. Nicholas R. Carnes, a Kentucky Guardsman who was killed in Afghanistan in 2007 was a Ludlow, Kentucky, native and also served as a riverboat captain. The riverboat ride was a first time event for Kentucky. Bernstein hopes to continue to provide the event for years to come. While many enjoyed the event, today was also a moment to remember their lost loved ones for a few. 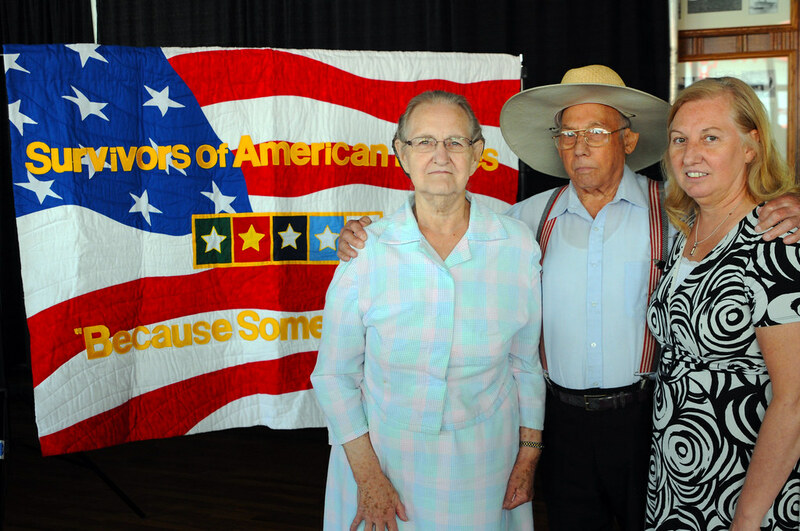 SOS coordinators organize events like these to recognize the surviving family members of military service members who have given their lives in defense of our nation. David Orange, a Kentucky National Guard SOS coordinator and retired Air Force chief master sergeant said the event was destined to happen with Cincinnati, Ohio-based Gold Star Chili and Newport-based B&B Riverboats, a Gold Star family-owned company involved in a Gold Star event.